ANTIBES. Population 71 000. Photo from the harbour at sunset. Just like Cannes, Antibes feels a bit larger than it is, especially during the tourist season. It is pretty large by the area, but the old city center is very small and has narrow streets. 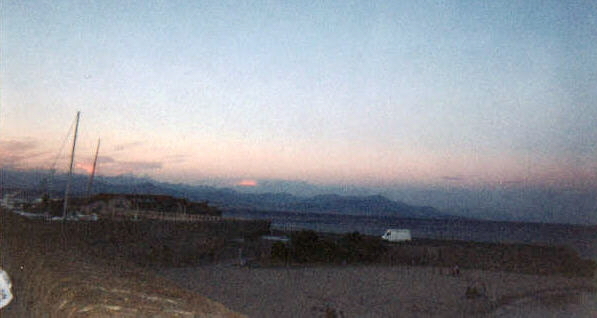 Antibes outskirts was one of the first place I saw on the Riviera after arriving at Nice´s airport in 2001. That was because we had to shop at the huge Carrefour supermarket. Large residence buildings with very beautiful architecture in Antibes. Photo originally from another website, I didn´t have the chance to take this photo by myself. 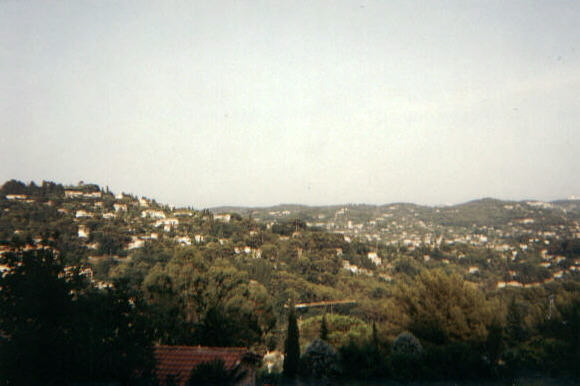 CAGNES. 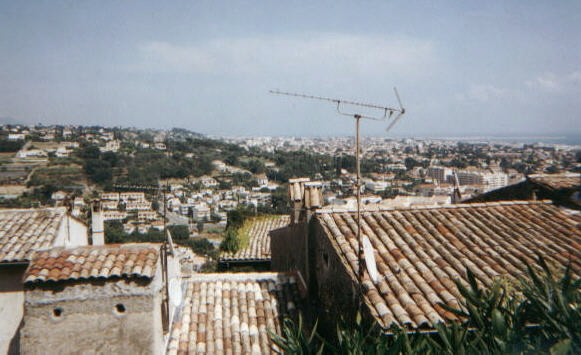 This city consist of two smaller towns, Cagnes sur Mer (pop. 43 000, means Cagnes by the sea) and Haut des Cagnes (the old town on the hills) a the part by the We passed Cagnes-sur-Mer several times and also did some sightseeing in Haut-des-Cagnes, the very hilly old town of Cagnes. The views of the Alpes and the town is outstanding from the top of the hill. To the far right in the photo, you can see Nice´s airport. 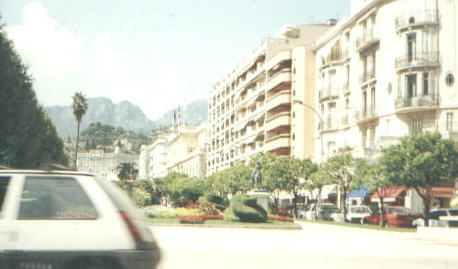 Cagnes is not to be confused by the more famous Cannes or Le Cannet. GRASSE. Population 43 000. A small but very spread out town in the mountains, northwest of Nice. It is famous for its perfumes. Saint-Tropez. Famous town for rich people, was never there. Juan les Pines. This is the place were all entertainment is, in this town there are lot of Mercedeses and Rolls-Royces trafficated the narrow streets the most popular pubs and night clubs on the Riviera, much more than in Nice despite it is much smaller. Stores and clubs are open almost 24 hours a day - and every day on the year! There are a lot of neon lights and glitter in this very small city. I was there at two occasions and visited some of the bars in the area, none of them was of my taste though. 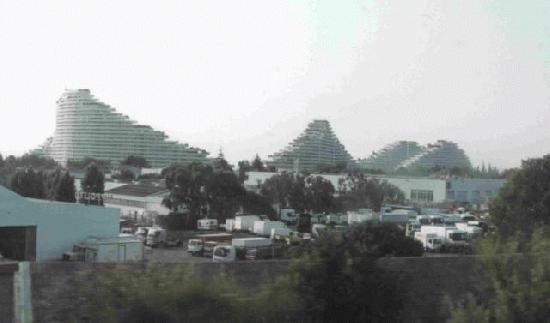 Juan les Pines also has a twin city, called Golf Juan. Golf Juan consists of very fashionable residences on a small peninsula. There is a very beautiful harbour road that is running through. The fullmoon looked orange when we was driving through! Biot(small medieval village with many artists). Valbonne, small cozy typical French villages. Aix-en-Provence is Provence´s 2nd largest city( pop 138 000), but I was never there. And don´t forget, Marseille, France´s beautiful 2nd largest city, is not very far from the Riviera. And so is not Toulon and Genova in Italy either.